D-CON 12 oz. 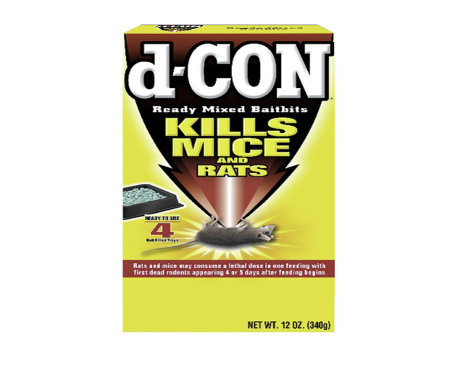 Rat and Mouse Killer Ready-Mixed Baitbits (12-Pack) are good for hard-to-reach places, basements, garages, attics and behind appliances. Mice will take the bait and leave to die, so you don't have to come in contact with dead rodents. Each 12 oz. box has 4 bait trays.